One of the most anticipated cars of next year in BMW’s roster is the BMW Z4. The new model will arrive to dealerships in the first quarter of 2019 and some customers are already configuring their perfect cars through online configurators in Europe. Unfortunately, the US website configurator isn’t up and running right now, but it’s likely to get online in the following weeks. 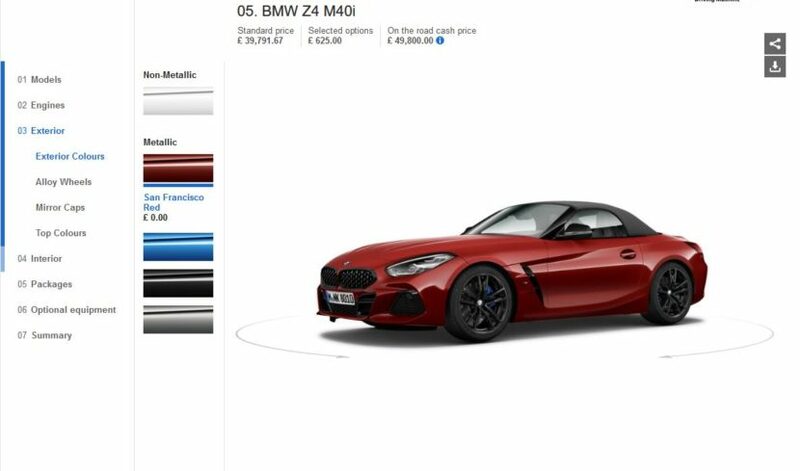 if you’re curious about how your dream Z4 would shape up, you can use the UK version for now, as it’s still in English. The car is available in three guises in the UK right now, all of them petrol-powered. There’s the entry-level sDrive20i model, the mid-level sDrive30i version and the top dog, the M40i Z4. The latter is also the only six-cylinder model, coming with the B58 powerplant under the hood developing different amounts of power, on account of your location. US customers are the lucky ones this time as their Z4 M40i will get 382 HP. However, we believe that the 189 HP sDrive20i might also provide plenty of fun, since it is considerably lighter and cheaper than the M Performance version. It will also do 0-60 mph in 6.6 seconds which is quick enough for most people. Most fans will be drawn to the 4.6-second dash of the M40i model and who could blame them. The M Performance model also comes with the widest palette of options, from exterior paint to interior trims. You can have it dressed up in Alpine White, which is a no-cost paint option or go for one of the other four colors: San Francisco Red, Misano Blue, Sapphire Black or Frozen Grey. That last option, which looks best, is going to cost a pretty penny, prices varying depending on the market. 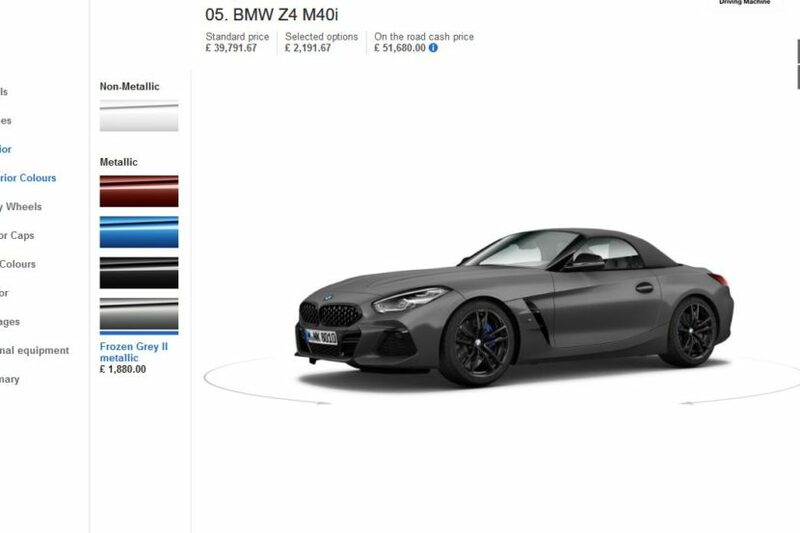 For now, the configurators don’t include every possible option but you can get an idea of how the Z4 can shape up depending on your preferences.